Since 1987, SORHEA has been designing, manufacturing and marketing electronic perimeter intrusion detection systems used to secure sensitive, industrial or private sites. Its product offer is based on the concept of early detection, i.e. detecting any intruder on a site under surveillance before the intruder enters the buildings. 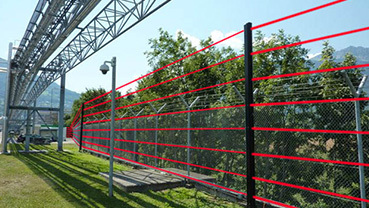 Thanks to constant innovation and a policy of external growth, SORHEA offers today the widest and most comprehensive product range on the market: infrared barriers, shock detection cables for fences andwalls , dual-technology detectors, high-frequency barriers, thermal detectors, or even active fence detector systems. SORHEA‘s strength lies in its flexibility to adapt to all possible security needs. 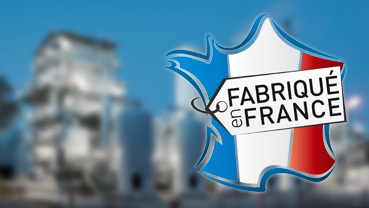 SORHEA designs customised products in order to meet the strictest requirements of its customers. Thanks to 30 years experience, SORHEA has developped solutions to integrate their products with all video management systems in the market. Finally, production and quality control (ISO 9001 certification – 2015 version) have guaranteed the reliability of SORHEA products, over the past 30 years. The ever changing aspects of modern day society has given rise to a growing demand for security systems in various fields. The market for electronic intrusion surveillance systems emerged in the 80’s, with some detection systems exclusively installed inside buildings. SORHEA became the specialist 30 years ago in a new market for outdoor perimeter detection systems. Our detectors are most often installed outside buildings and indicate the presence of an intruder before the intruder enters sensitive areas. The intervention of security services can, be triggered faster, earlier and more effectively with such systems. Moreover, a perimeter detection system allows goods stored outside to be monitored. Perimeter detection requires robust and reliable products capable of working in the worst weather conditions. Numerous technologies are available on the market to meet with various specific needs. The perimeter detection market is sustained by the growing need to secure sensitive sites. The demand is high in the transport and logistics sectors, chemical and nuclear sites, companies with the need to safeguard the confidentiality of their production, materials stored in an open space, prisons, etc. The feeling of insecurity and cases of home jacking persuade certain private home-owners to equip their homes with perimeter detection systems.